We’ve Made Our Guarantees and We Stand Behind Them! We do our very best and take all precautions possible to ensure that you are satisfied. With in-depth appraisals, detailed descriptions and vivid HD photographs, the chances of an erroneous description are slim to none. Our experts are at the top of their fields and have decades of experience, but they are also human and mistakes can be made. In the case that you receive an item that does not match the item description or HD images, we want to make sure that you have the ability to let us know about it. Not only do we want to address the issue, we also seek to prevent any future errors. 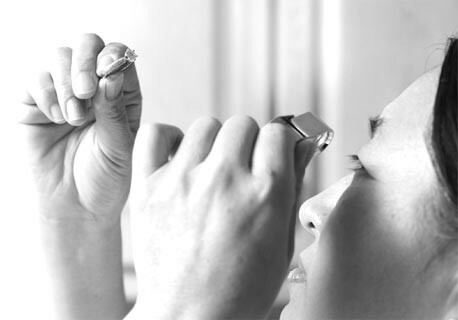 Whether you purchased a diamond, a piece of jewelry, a gemstone, or a watch, we have a procedure in place to set the record straight. What Kind of Item Did You Buy? - Notify buyers@worthy.com within 24 hours of receiving the item of the discrepancy. - Have the item graded by the GIA (Gemological Institute of America) and provide us with the report. Once we receive the GIA report supporting your claim we will refund you in full upon return of the item. - Have the item graded at an AGS (American Gem Society) lab and provide us with the report. Once we receive the AGS report supporting your claim we will refund you in full upon return of the item. - Have the watch evaluated at an authorized reseller of that watch brand and provide us with the report. Once we receive the reseller report supporting your claim, we will refund you in full upon return of the item.